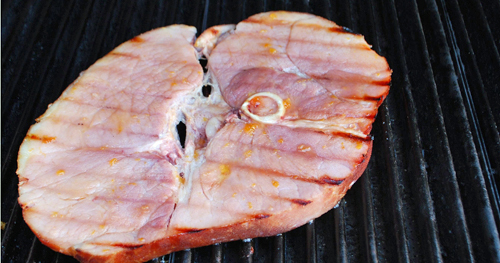 Our Bone In Ham Slices are hardwood smoked and fully cooked for a true ham flavor. Hand trimmed for minimal fat and waste. These ham slices are perfect for those desiring all the flavors of a whole ham but not the quantity. Bake: Place ham slices in a 350F pre-heated oven and bake for 10-15 minutes. Grilling: Cook until browned slightly on both sides.